Try a Shhh... Portable Sound Machine for free! Try for free a Shhh... Portable Sound Machine from MUNCHKIN! Shockingly, babies don't need silence to sleep! A mother's womb is actually a loud place, and is comforting to babies. When dealing with a cranky or colicky baby, loud, constant noise can quickly help calm them down, especially when the noise is louder than their own crying. 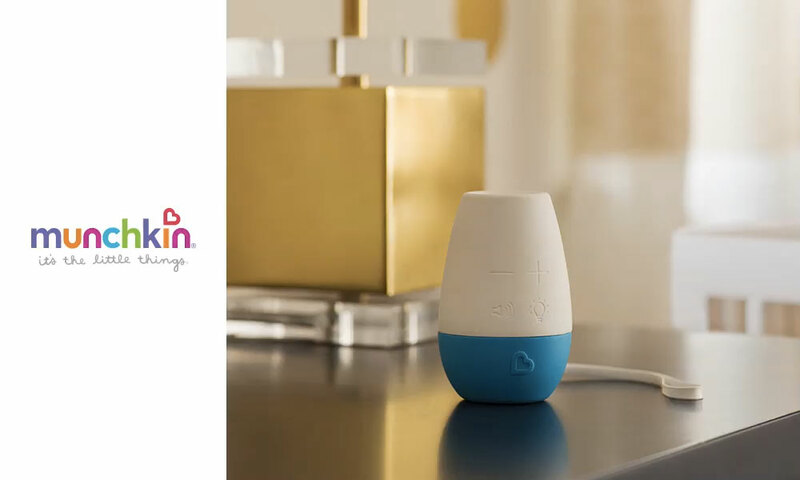 The Shhh... was made to give parents a break and designed with science in mind. It features three specific sounds to first calm down an upset baby (shushing noise), lull them into a calm state (heartbeat noise), and eventually keep them asleep (white noise). 15 Shhh... Portable Sound Machine to try!